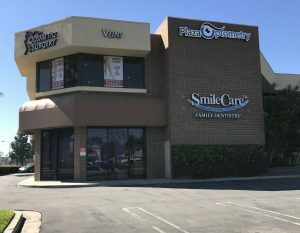 Since 2000, we have served more than 30,000 patients in South Coast Plaza, Costa Mesa, and have recently moved to a brand new building just 2 blocks north of South Coast Plaza. We are dedicated to providing the highest quality optometric and medical care in diagnoses and treatment of ocular diseases such as Glaucoma, diabetic retinopathy and cataracts. For those who suffer of corneal abrasions, infections and malformations Dr. Mohebbi offers a revolutionary new PROKERA corneal treatment. 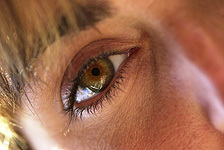 We also offer consultation for cataract and LASIK surgeries. 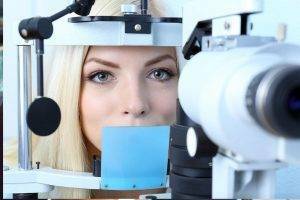 Why Choose Our Santa Ana Eye Doctor? 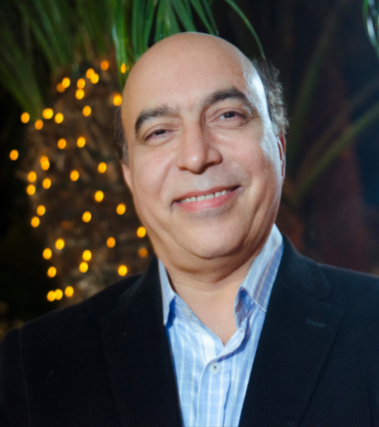 Experience: Dr. Ali Mohebbi has more than 15 years experience providing top-notch eye care to his patients. 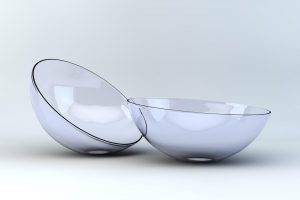 Contact Lens Specialist: We can fit a wide range of contacts lenses including 1-days, multifocals and astigmatism. We also work with hard to fit patients who need keratoconic or scleral lenses. Expertise in Treating Ocular Diseases and Eye Infections: diagnosis and treatment of Diabetes, Glaucoma and Cataracts, Prokera corneal treatment and excellence in treating ocular conditions such as allergies and eye infections. Advanced Technology: Our office is one of the most advanced in Orange County, offering the latest diagnostic machinery. Staff: Our staff is highly-trained and friendly, seeking to provide the best eyecare experience for our patients. Patient Satisfaction: See our Google and Yelp pages for reviews by our patients. Serving California since 1990, and the Orange County area since 2000, Plaza Optometry is a modern and well-equipped optometry practice. Accordingly, eye exams with us are completely computerized and digital, and our office is geared toward providing the most advanced service, with the most cutting edge computerized techniques available today. This includes Automated Refracting Lane, Auto Refractor/ Keratometer, Automated Visual Field analyzer, Retinal Fundus Camera, Optos OCT, and much more. First and only multifocal water gradient contact lens that is designed to provide comfort like never before and clear vision up close, faraway and in between. Say goodbye to on-and-off hassle of single vision distance and reading glasses. DAILIES TOTAL1® Multifocal contact lenses can help you see clearly at any distance. For more on this great lens click here. Your Keratoconus & Hard-to-fit Contact Lens Expert. At Plaza Optometry, we also offer an incredible selection of eyeglasses frames and specialty soft and contact lenses, so that we can help you find the right vision correction solution for you. Our Santa Ana optometrist understands that your vision is a big part of your life, and this is why we strive to provide the best eyecare possible. We take the time to get to know your eye care history and health. Our systematic approach to eye care along with utilization of best technology in the market ensures that you get the best possible care, advice and options for your vision needs. Our Plaza Optometry eye care staff utilizes the latest techniques and equipment for vision testing, including the OCT Scan (provides detailed images to detect and treat eye conditions), OPTOS Retinal Exam (looks at the health of your retina) and Autorefractor (tests for accurate lenses). Are you noticing a loss of near vision,? If so, then you probably have presbyopia. Try multi-focal contacts, and perhaps you can ditch your reading glasses when reading or writing. If your eyes have a conical shape, this scatters light as it enters your retina, creating blurred or distorted vision, increased sensitivity to light, glare and mild eye irritation - an eye condition known as Keratoconus. However, even with this condition, you may be able to wear scleral contact lenses, specially suited to address this issue. If you have blurry vision, often associated with astigmatism, toric multifocal lenses or rigid gas permeable lenses could be the solution to give you clear vision at all distances.